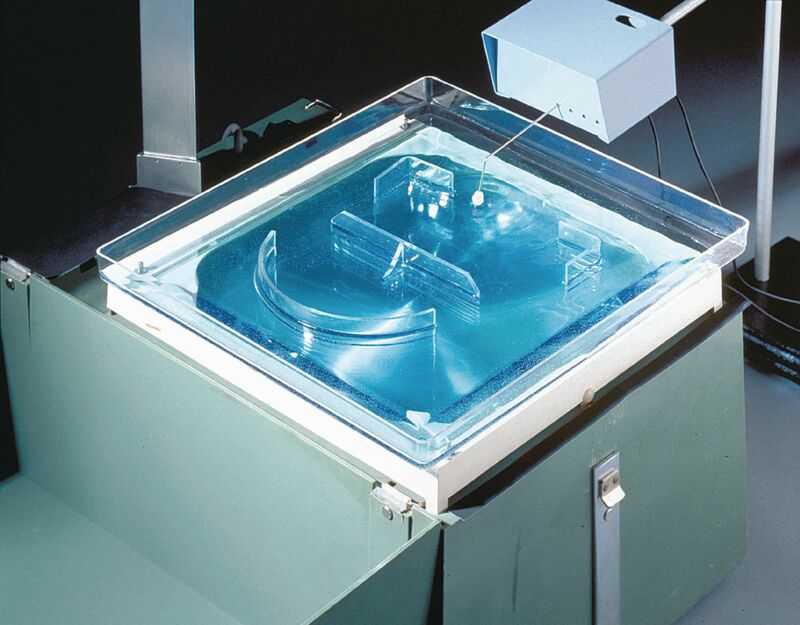 Your whole class will be able to clearly see your demonstrations of propagation, reflection, diffraction, frequency-wavelength-velocity relationships, and interference and phase differences when you place the ripple tank on your overhead projector. It comes with a clear plastic ripple tank, wave generator, and a variety of barriers. The apparatus attaches easily to a ring stand, available separately. The wave generator requires a variable low voltage DC power supply, or a 1.5 V dry cell with rheostat, also available separately.